Rand Stannard is an agent with the DIA. Codenamed 6-X, Stannard had served in Military Intelligence for several years before leaving the service and returning to college. As he was preparing to take his final exams from Law School, he was approached by a colonel with the Defense Intelligence Agency, then a very new organization, to assist in an assignment. He was chosen partially due to his experience but even more because a lady friend who was close to Stannard needed watching. Reluctantly he took the mission and, to more his surprise than others, he was not bad at it. In fact, he was impressive enough to make the department decide to keep him on their list of available assets. Thereafter, he would work at his law practice as he would have done without the DIA work, and answer the call when the DIA needs someone with his qualification. Stannard is just under 6' tall, blond, good looking enough to constantly attract the ladies, proficient at hand-to-hand, and speaks several languages fluently. He does not particularly like getting shot at or shooting at others but if given a choice, he would opt to be the shooter rather than the shootee. "FOR ADULTS ONLY!" 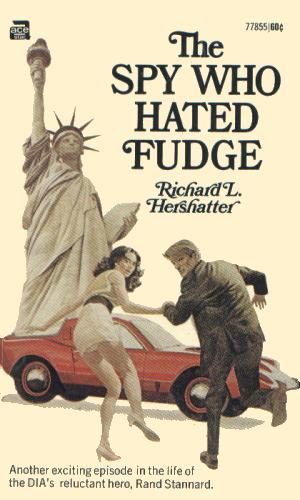 That is the opening blurb on the original paperback edition of this series. 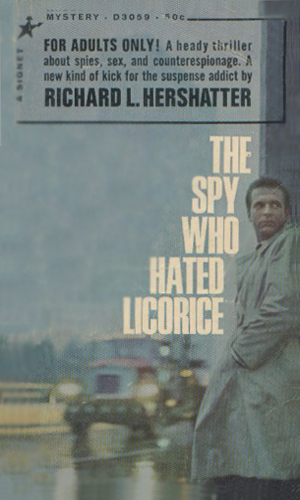 The adult nature of the books is quite limited, certainly no more than a contemporary Bond novel, indicating the tag was more attraction than warning. It is not a case of modern mores exceeding what was once risqué – it is more that some marketing agent wanted to spice up the covers. Stannard does entertain the occasional woman and there is descriptions of the entertainment but the books do not need any false advertisement. The Stannard adventures also rivals the Beresford series by Agatha Christie as the longest time span between novels. Hers was 47 years. This series is 31 years. There was 3 years between the 1st and 2nd, one year between the 2nd and 3rd, and 31 years between the 3rd and the 4th. Luckily, very little time has passed for Rand Stannard, leaving the readers to not know if the writer decided several decades later to write another one or if the 4th just sat unpublished for so long. Licorice is the codename given a group of former GRU operatives, working for a man named Riktor, which hires itself out for acts of terror. Rand Stannard, fresh from law school, is hired by the DIA to help bring it down. Rand Stannard is sent to Spain to help recover an atomic bomb which the U.S. accidentally lost. His supposedly secret assignment is anything but secret as he is repeatedly fought by others intent on getting the weapon first. In the course of one night, a group managed to steal the Statue of Liberty. With every Intelligence agency active, the DIA hands out its own assignment to Rand Stannard to find the missing Lady. A CIA supervisor has gone missing in the Middle East and the DIA gets an urgent request for assistance. Knowing his gift for languages, the agency calls up Rand Stannard for yet another assignment. 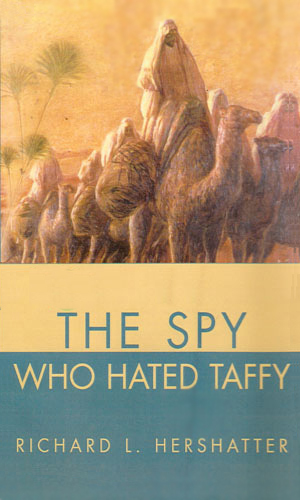 He is reluctant to take it and even more reluctant to accept the help of a young Sabra agent. Easily fitting into the B-grade movie category, this series is a hoot. The dialogue is very lame and the characters are totally stereotypical but you easily forget this as you grin while reading it. Stannard is really a very fun character to follow and his sense of humor, and that of the author, make the books a hoot at times. And the reading goes very fast so the books take no time at all. For overall spycraft the series rates a B but it should be given much higher but the attitude the protagonist has about life and other things.